When a mother delivers a new baby, this often means that her beauty routine she once had, will be a distant memory. Whether its barely getting enough sleep, or struggling between breastfeeding and bottle feeding, a new mother doesn’t have the time to invest in a make-up regimen. 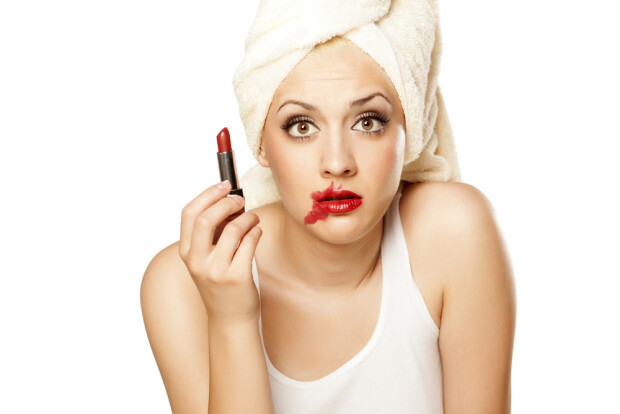 When this happens, mothers find themselves making even the most common of beauty mistakes. To rest assured you won’t let your skin pay the price, here are some simple ideas to help you get back on track. A new mother would never head out of the house without making sure her new little one is covered head-to-toe with sun protection, so why would she forget to use it on herself? If you’re covered from head-to-toe in clothes, your face still needs to be guarded against from the sun’s damaging rays. There’s also a good chance if a woman isn’t covered against, she could also be at risk for hyperpigmentation. If you are in a rush and doesn’t have time to slather on sunscreen, use a wide-brimmed hat and sunglasses to shield your face against UVA and UVB rays. It’s understandable to be too tired to remove makeup after you come in from a long exhausting day, but make it a priority. When you fall asleep with makeup on, this means your pores aren’t able to breathe at night, and this could lead to bad breakouts. All you need is a couple minutes and a nice cleanser that removes makeup, to get the job done. If you still find yourself not having time, buy a good brand of makeup removing wipes. You might not have time to curl your lashes and add mascara, but make time to take care of your face by using products that work. A good example of this would be choosing products that have an SPF and a tinted moisturizer. Another suggestion would be to use a BB cream containing an SPF, due to amount of moisture it contains and anti-aging peptides, which help to reduce fine lines. You can either buy BB creams at a drugstore, or you can purchase them from Sephora. Either way, there are low cost options when it comes to these types of creams.